This delay of the Kavanaugh hearing is a perfect example of how dirty the Left is willing to play in order to regain power. Senator Dianne Feinstein was willing to ruin someone’s reputation and career over something she’s not even sure is truthful. On Tuesday Feinstein (D-CA) admitted that she “can’t say that everything is truthful” about the sexual assault allegations against Kavanaugh brought forth by far-left activist Christine Ford, according to Gateway Pundit report. With this, the case is closed. Move forward with the nomination vote. 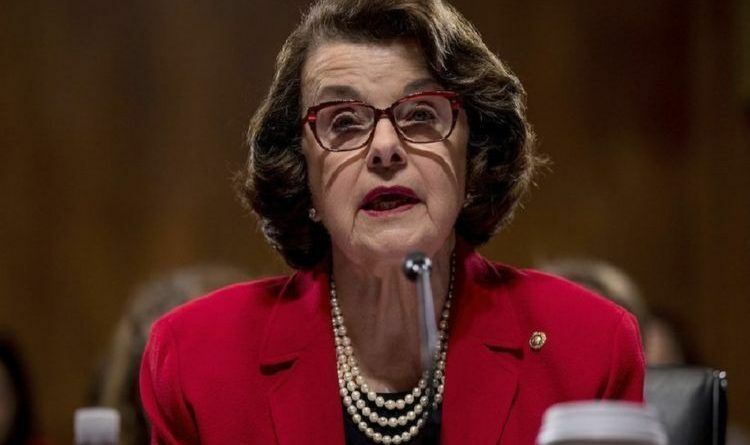 Feinstein also said if Christine Ford doesn’t show up Monday to the hearing it’s up to the Republicans what happens next. So is this the beginning of the walk back from Feinstein and the Dems?? Played a dangerous game of poker and their bluff has been called, with them knowing from the get-go Ford was never going to testify?? If all this BS isn’t enough to make Democrats walk away, I’m not sure what is. But, one thing is sure! Feinstein is going to lose a lot of votes in November because of her participation in this sorry tale. WATCH! Trey Gowdy Catches Anti-Trump FBI Agents Red Handed! The MSM Ignores This!